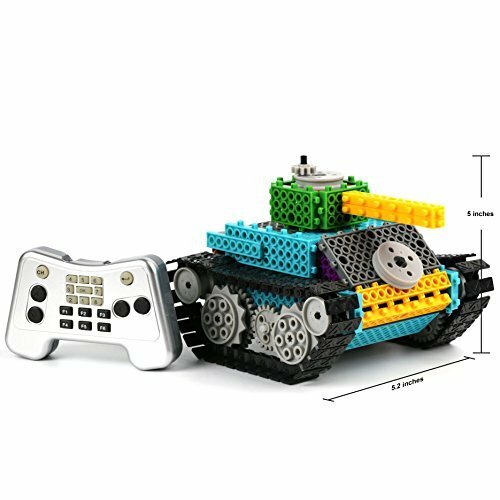 Now you are looking at Remote Control Building Kits for Kids - Remote Control Tank Construction Set w/ 145PCS, Build Your Own Remote Control Robot Kits which is one of our several available items from the make Packgout. Get this product right now or look through our site for other similar options. Building Kits for Boys Gift, PACKGOUT STEM Robot Kits Construction Set , Build Your Own Remote Control building kits is perfect for boy gifts that will be enhancing boys' creativity and improving their hands-on ability. 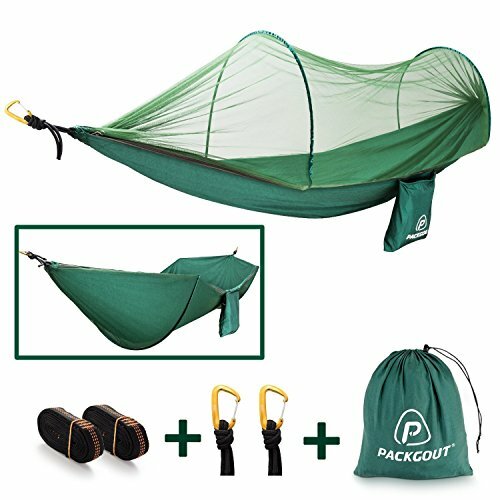 If you are looking for a awesome gift for kids, this could be the best option for you. Children can be DIY and assembled to many kind of remote control toy. 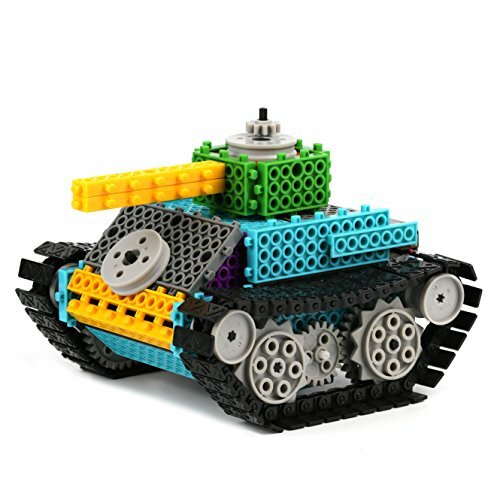 Build Your Own Remote Control Tank - For kids who love to assemble toy, this RC building tank would be the perfect gift for them. You can not only build a tank, but also remote control you tank. 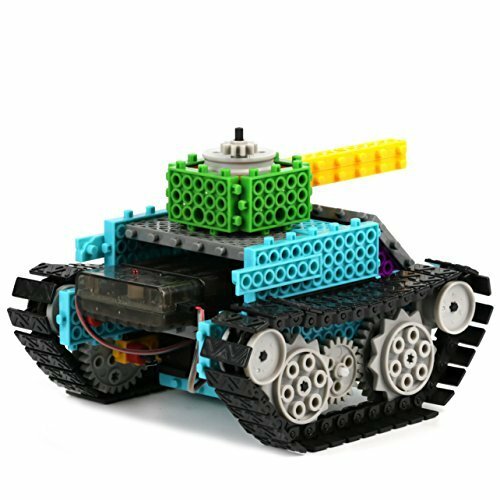 Much More Fun - This product has combined building blocks & RC function, which mean you would be able to build your own remote control car/tank according to you imagination. Educational Value - Improving patience, concentration and cognitive skills. Improves kid's minds while they are having fun, makes this one of the best gifts you can give any child. Safe Materials - Made from high quality non-toxic materials, free of phthalates, lead and other heavy-metal. Certified for EN71, EN62115, 7P, HR4040, ASTM, EMC, CD. 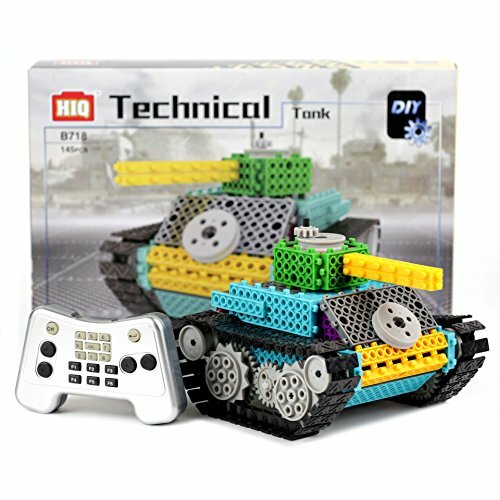 Detailed Instruction - The instruction with vivid diagrams can show you how to assemble a awesome remote control tank easily.